Vera Blue could be the human love child of Greek goddess Aphrodite with her angelic voice and glorious mane – it is an easy assumption. But human or goddess, the Sydney-based songstress gave a spellbinding performance at her sold out hometown show on Friday night. Support acts Kira Puru and Alice Ivy both cemented themselves as artists to watch and set the stage of the iconic Enmore Theatre for the inimitable headliner. There was collective cries when Vera Blue, christened Celia Pavey, entered the stage with an electric rendition of 'Magazine' before effortlessly sliding into the empowering 'Give In'. Thrashing and throwing herself around the stage, she captivated the audience with favourites such as 'Fools', 'Hold' 'First Week' and 'Settle'. Vera Blue’s debut album Perennial is raw and honest with tales of love, loss and empowerment and makes for a devastatingly beautiful live set. Track-after-track transported us to an ethereal plain where power ballad and soft lullabies blended with effortless confidence. Midway through her set, she swapped the electronics for an acoustic guitar and serenaded the crowd with lyrics such as now the only thing that I can do is wait, wait 'til I don't feel. The raw and emotive 'Said Goodbye to Your Mother' seemingly shares a intimate glimpse into the artist’s own personal experience. There are no doubts the now 24-year-old has come a long way from The Voice where she debuted and placed third in the 2013 season. Vera Blue has moved from strength to strength and cemented herself as one of Australia’s most diverse artists. The crescendo saw a surge of energy throughout the venue with crowd goers exploding for popular track 'Regular Touch'. But we all knew it wasn’t over just yet. The crowd cried out when the petite singer reentered the stage for an blisteringly powerful encore of 'Lady Powers' which left us simultaneously doused in confetti and hungry for more. The Forum Melbourne was alight with the sounds of magic as Vera Blue closed out her sold out Lady Powers tour in style, completed by a stirring Sunday performance. Joined by friends, Kira Puru and Alice Ivy, the show was a heralded celebration of the work, heart and feelings that were put behind Vera Blue's debut album Perennial and the more recent Lady Powers remixes. Coming out of a massive sold out opening show the night before, Vera Blue was more than capable of keeping up the momentum, with her fun dance moves, passionate music and joyful humour highlighting a night of music and celebrations. Starting the set at full strength, Vera strutted herself onto centre stage alongside the opening notes of 'Private'. Having an immediate impact, the crowd went into a frenzy, singing back the lyrics and dancing along. She then worked her way through 'Give In', the powerful and emotional pumped pop hit thundering through the beautiful hall of the Forum Theatre. Thankfully Vera's 2016 EP Fingertips wasn't forgotten as the title track from the EP was a early highlight of the set, with much of the five song EP being performed live throughout the show including 'Settle' and 'Patterns'. While the music was more than enough to provide for the show, Vera Blue and the band were also accompanied by an incredible production set, with the visuals and lighting helping to set the mood through her shifting vocal tones. Moving between the exciting moods of energetic, dance natured tracks and her emotive folk pop songs helped kept her set fresh. Yet, it was the renditions of 'First Week', 'Pedestal/Cover Me' and a poignant performance of the recording that started the entire Vera Blue project, 'Hold', that captured the hearts of the crowd. The songs were stripped of much of the production work from the original Perennial recordings allowing her captivating acoustic guitar work to shine through. 'Said Goodbye to Your Mother' was a vocal highlight of Vera Blue’s set, as she bared her soul through the song’s compelling lyrics and her commanding control of her sublime vocals. Her lofty high sustains and her silvery lower range helped epitomise a song that was full of heavy emotions, leading to a big finish alongside her band. Mended bridged the gap between the emotions of 'Said Goodbye To Your Mother' and the poppy 'Regular Touch', with the song the perfect balance between the two. It sent the crowd into an excited rush, with the popular single off of the Perennial album a clear crowd favourite. Vera’s emotions flowed before the 'Regular Touch' dance party begun, tearing up while thanking her amazing band for sticking by her through the project. This brought the crowd to a round of applause for her tenderness and support for band members Dave, Sam and Ross. It’s her honest character that draws crowds to hrt’s music, with it permeating through her voice and lyrics, creating another avenue for her to connect to her fans. The song that started the tour closed it out; 'Lady Powers'. An energetic and punchy ode to the strength of women, Vera was joined on stage by Kira Puru for a verse, before both were joined by her friends for a flower throwing dance party. 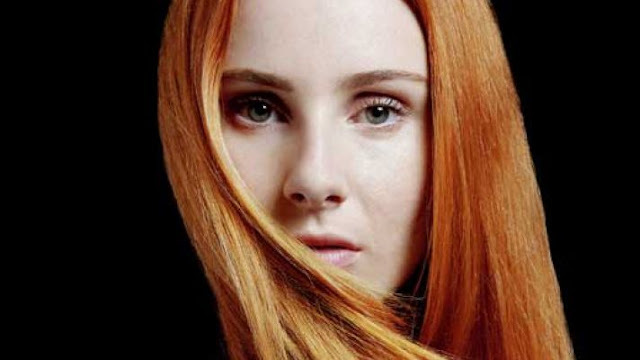 The show solidified Vera Blue as a continued presence in the Australian music scene, with her honesty, modesty and conviction as an musician a rarely held trait by bigger artists.